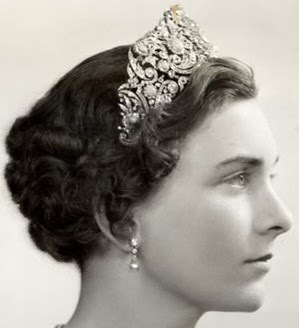 Creation: This tiara was made circa 1850 and in 1912 Queen Mary had the tiara altered by E. Wolff & Co. 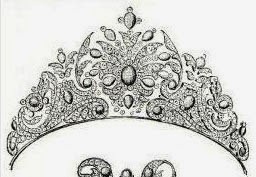 The Dukes of Gloucester seem to have the most beautiful tiaras of the extended BRF! Unlike the Dukes of Kent, who have practically sold everything, the Dukes of Gloucester seem to have been able to hold on to most of theirs. 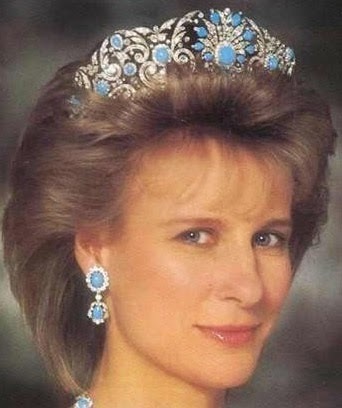 Just the other day the Dukes of Kent sold their aquamarine tiara! I wonder what will happen to these beautiful pieces once the present Dukes pass away. Inheritance taxes in the UK can be very high.